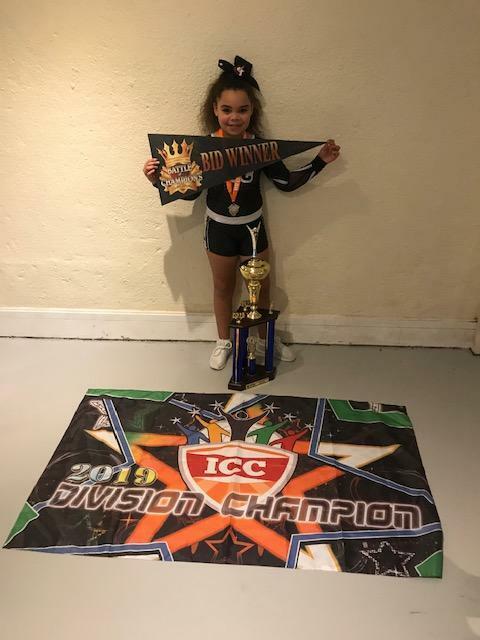 Sienna only started cheerleading in October last year, but recently competed in the ICC 2019 Championships in Blackpool. It was a fantastic turnout from clubs all over the county. Sienna’s team were placed 1st and therefore earn the right to compete in the champions of champions 2020. We are all incredibly proud of her and her squad; a great example of what you can achieve with dedication and teamwork.